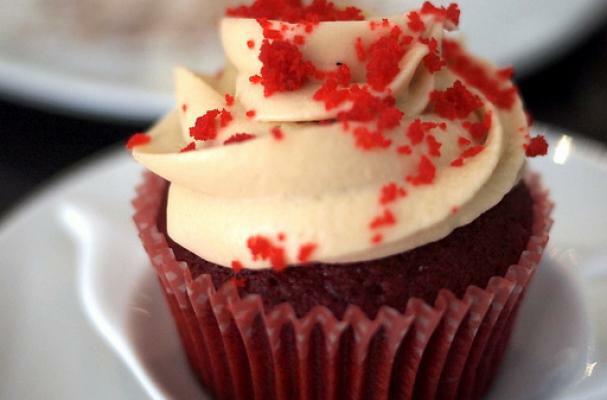 Join the Fourth of July festivities by making these gluten-free and dairy-free red velvet cupcakes. This all-American dessert has been adapted to suit anyone's dietary restrictions. This version of red velvet is light and absolutely delicious. Turn speed down to low. Add the flour in three additions, alternating with 1/2 of the “buttermilk”. Make sure to mix thoroughly between additions. 9Mix baking soda and remaining 2 tsps vinegar until foamy. Add and beat for 10 seconds or until incorporated.